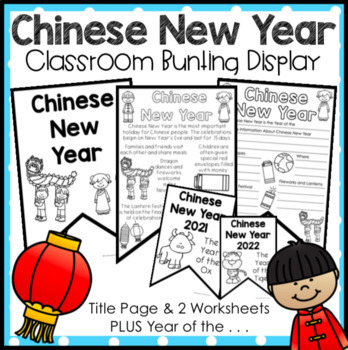 Create a vibrant and quick classroom display to celebrate and learn about Chinese New Year. Please carefully view the images to see what you are buying as these show everything you are purchasing and the amount of information that is supplied on each holiday. The 3 sheets are shown in the photos. 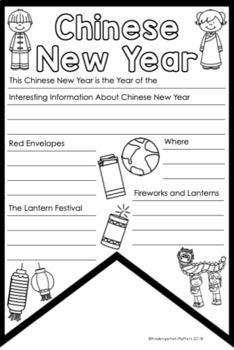 This activity has 3 pages the title page b/w (copy onto colored/coloured paper or card) and a simple page children color/colour their own bunting sheet and read to learn about Chinese New Year or a slightly more difficult page where children color/colour and write their own information. 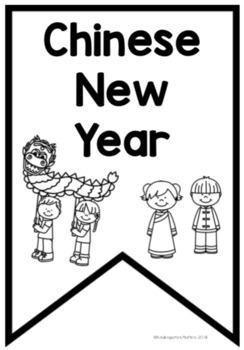 I have also included a bunting for each of the years 2019 to 2023 with the text "Chinese New Year 20-- The year of the pig etc. with an image of the animal. 5 in total I will add update this as necessary. I think it is so important to help children understand and learn about this wonderful and diverse world we live in. This pack will be also be part of Holiday Bunting Bundle. 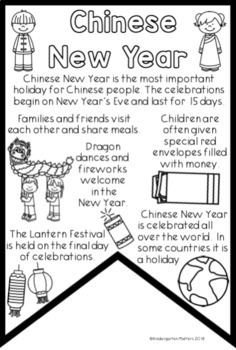 Perfect for a study of world holidays for young children, combine all 6 holidays to make 1 big display. Take a peek at Diwali Flip Book and Celebration Bracelets for more holidays, festivals and special days activities. As with the most of my products they are duplicated in both US letter and A4 paper size with appropriate spelling on opening simply select the one that is right for you. Follow Me to be the first to know about my Freebies and to be notified about all new products which are always on sale at 50% off for the first 48 hours.